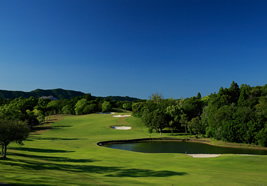 The only tournament course in Japan to host an LPGA official tournament, the “Mizuno Classic” (now the Toto Japan Classic) . 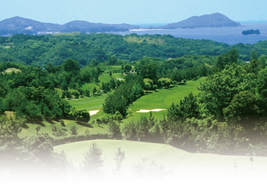 This prestigious course skillfully incorporates the nature and ria coast of Ise Shima. 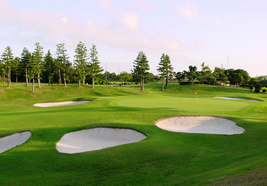 Tee off while overlooking beautiful Ago Bay, and face challenging holes across sea water. All elements of the seaside environment are condensed into this course. For a truly dra-matic game of golf, play here. 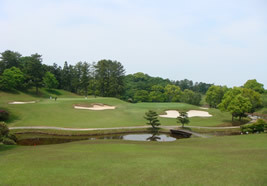 A classic seaside course stretching along the hills of Ise Shima National Park’s Ago Bay overlooking the Pacific Ocean. With a layout that makes perfect use the natural environment, the contrast between the greens and white sandy bunkers is particularly beautiful.